Once again I've driven the thirty miles home from Mr.Kyps after a damn good ear bashing. Free at Last had a lot to live up to to get my approval and they certainly did that on Friday night. 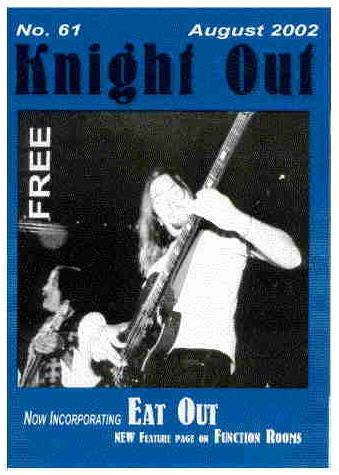 I saw the original Free fifteen times from 1969 to 1972 and have never found another band that has the raw, powerful and driving sound that they had. My favourites have always been the heavier, riff laden tracks like Fire and Water, Mr.Big, Ride on Pony etc. and Free at Last's versions of these and many others were cracking! (that's good by the way). Jak's favourite track Be My friend was really well done and sung with emotion. This is where Free at Last impressed me even more- they managed to make Bad Company's material sound great Apologies to Bad Company fans but I was never that impressed by them, they were good but compared to Free they lacked roughness and energy. Jak's singing was definitely the best Paul Rodgers sound I have heard and he even had the same stance at the mike. Shane's sound on lead guitar was the closest to Paul Kossoff's I've ever heard and he reminded me of Ritchie Blackmore, quiet but knew his stuff and wasn't afraid to belt it out. Dave on Bass played it like a second lead guitar and the greatly anticipated 'solo' in Mr.Big was brlliant and well appreciated by the crowd. Well who said the 70’s sound was gone as tonight it’s ‘Free at Last’ at the Chestnut’s. One of the seventies most influential bands along with Zeppelin! They changed the sound of rock with their solid sounds. After a couple of pints and a listen to ‘Keith’s’ classic rock disco its time for the band to start, who we’re told are doing the gig tonight in two sets! ‘Little bit of love’ starts off proceedings nicely along with ‘The Stealer’ and a real dig from the vaults ‘Walk in my Shadow’ one of the first and oldest of the Free tracks ever recorded! Next up ‘Trouble on Double Time’ backed with an emotional ‘Be my Friend’. I noticed that the singer Jak Dodd (who does an excellent job!) was playing an extra rhythm guitar which compliments the Gibson ‘Big’ sound and the 'Gibson’ bass guitar with its 70’s rumbley solid sound very well. 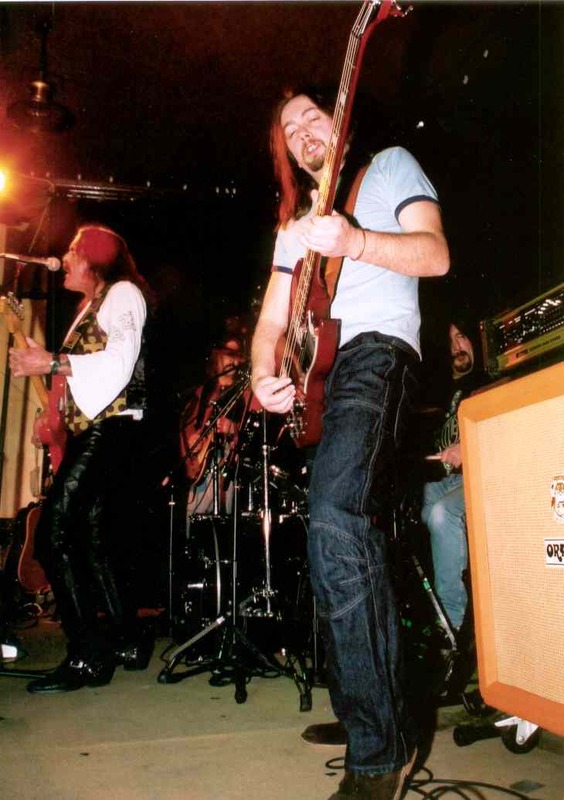 Next up ‘I’m a Mover’ and ‘Ride on Pony’ plus ‘Songs of Yesterday’ all old album tracks ‘Woman’ followed nicely by ‘Fire and Water’ goes down well with a good crowd at ‘The Nuts’ with Jak strutting his stuff not looking unlike ‘Lemmy’ with a red strat! Next up is an interesting and refreshing acoustic ‘mini’ set whilst the rest of the band have a breather, running through ‘Seagull’ , ‘Shooting Star’ then ‘Muddy Water’s Blues’ by Paul Rodgers and the band are back in time to fly through ‘Feel like makin’ love’ and ‘Can’t get Enough’! The two guitarists working well together both following each other with an almost ‘Thin Lizzy’ feel at times. Then launch back into the ‘Free’ set closes with ‘I’ll be creepin’ and ‘Mr Big’ during which the hold and feel of the middle solos section is impressive as both guitar and bass solo next to each other. 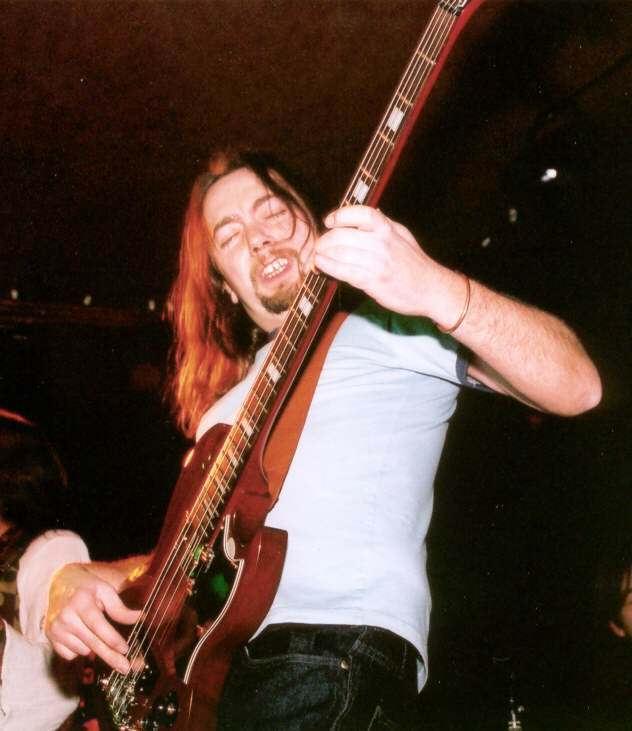 Dave Poole was particularly impressive with the big bass ‘fuzzy’ sound on the solo! Next up the song that relives the 70’s and sold loads of chewing gum too ‘Alright now’! Brings the set almost to a close but after a short break we’re treated to a great ‘Wishing Well’ then after much crowd abuse and wanting for more one last version of ‘The Hunter’ brings things to an end nicely. I’ve seen the guys before at ‘The Old Mill’ a while back and enjoyed it but this gig was even better! – Could it have been the ‘Isle of Wight Festival’ of 1970 all again? The following night's bill was reduced to two after The Doors Alive had to pull out, but this didn't lessen the quality of the acts. In fact, from a purely soundalike perspective, you would have difficulty telling either Rip Off The Machine or Free at Last from the genuine articles (Rage Against The Machine and Free). 'Rip Off' produced a great sound and an energetic stage presence, which was augmented by an excellent guitarist, who pulled off all the squiggly Morello sounds with aplomb. The best Free & Bad Company tribute in the U.K and the highlight of last years Free Convention here at the Limelight. Each member of this four piece outfit plays the part of the original band to just about perfection, not an easy task considering who they were (Paul Rodgers, Andy Frazer, Simon Kirke & Paul Kossoff!) great songs include 'All right now', 'Mr big', & 'Feel like makin' love'. I was very wary of going to see a Free and Bad Company tribute band as I am without a doubt a massive Free fan, having seen them live in the early seventies and without a doubt they were the best band I have ever seen live, so to me no tribute could ever compare to that, how wrong could I be. This band was not a tribute they were an incarnation of the real thing, absolutly spot on, note for note, including the fantastic lead sound from that bass guitar especially on numbers like Mr Big, and those high vocal notes impossible to get, well not for this frontman. If Free or Bad Company were around today they could not have played these numbers any better. You must really go and see these! If your gonna put together a tribute band to somebody, you'd be crazy to pick a band who had probably the best vocalist in rock, one of the best loved guitarists and one of the most original sounding rhythm sections of all time now wouldn't you? Well whether they are mad or simply brave, that's exactly the challenge that Free at Last took on board when they decided to play the music of Free, Bad company and Paul Rodgers. Around five years ago Walsall based rock covers band Uncle Sam decided to do just that and so Free at Last were born. I'd been trying to catch up with them for a while and finally got to see 'em a couple of weeks ago and it was well worth the wait. They're a four-piece with Mick on drums, Dave on bass, Shane on lead guitar and Jack on vocals and guitar. They play pretty faithfull renditions of the songs but without simply doing slavish copies. They're not an "imitation" band who try to look like the originals (thankfully). The rhythm section have somehow managed to achieve that distinctive Free sound which is no mean feat in my book. Shane's guitar is fluid, sometimes powerfull, often nicely understated and does the business very nicely thank you without ever making you feel he's just doing a straight copy of Kossoff's licks. The use of the second guitar for certain sections of certain songs adds just the right amount of extra power when needed which brings an extra dynamic into the proceedings when necessary. OK, as far as Free fans are concerned I've left the most important question to last. What about the vocals? Well Jack has a superb rock'n'roll voice believe me, ballads and rockers being performed equally well. Now Rodgers has one of the best and most distinctive voices in rock and any attempt to do an impersonation would, I think be doomed to fail. I'm pleased to say they haven't tried. Jack's voice suits the material superbly and he's better off just being his own man. No Free fan will feel aggrieved at all I'm sure, the renditions of the classics such as "The Hunter", "The Stealer", "Fire and Water", "Mr Big" and the inevitable "All right now" are all excellent. They also do quite a few lesser known numbers like "Walk in my shadow" and my own favourite "Be my friend". The Bad Company numbers "Seagull, "Feel like making love" and "Can't get enough" were welcome inclusions too. They even did a splendid version of Rodgers' solo "Muddy Waters blues". Not only that, they're a nice bunch of lads as well. If you're putting together a line-up for a bike rally and you want a bit of classic British rock in your line-up you should give 'em a call. Jack Dodd, lead singer with Free at Last, has the unenviable job of singing like the great Paul Rodgers, one of rocks greatest singers. Jack has a fine voice and is more than capable of doing whats required. The whole band are rock solid, are dedicated to acheiving that special 'Free' sound and are fans of the music they now reproduce so well. Tracks include 'Fire and water', 'All right now', & 'Mr big'. A recomended gig!